Choose from our complete menu of property, street, and parking lot sweeping services, and Twin City Sweeping will keep your property clean and looking good for your residents, customers, clients, and employees. Once we’ve swept, we can power wash surfaces, deep clean, and provide maintenance for permeable pavers, line stripe and even paint lot signs and symbols — saving you the hassle of coordinating with multiple vendors. Most importantly, we never sub out our work to contractors. When you call Twin City Sweeping, you get Twin City Sweeping. 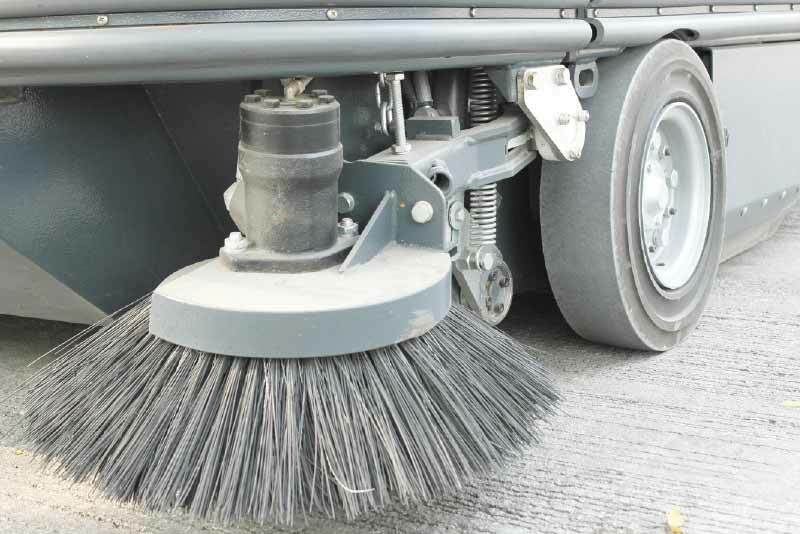 Parking Lot Sweeping — In the spring, we’ll get rid of winter debris. In the summer and fall, we’ll take care of accumulated rubbish, leaves, grass clippings, or other garbage that detracts from the appearance of your lot. Construction Clean-Up — Heavy-duty equipment coming and going from a construction site can drag dirt, mud, and construction rubble onto a public street. We’ll clean up the mess and make things look good again. On-call maintenance sweeping is available, whether you need it performed daily, weekly, or just once. Garages/Parking Ramps Sweeping — Accumulations of winter salt, sand, and trash can make cleaning a garage or parking ramp a real challenge. Fortunately, we have the specialized equipment needed to get the job done. Street Sweeping — Community gatherings like concerts or parades can leave your streets strewn with litter, garbage, and clutter. We can clean up the mess fast and make your city shine again. Lake Watersheds Air Sweeping — Correctly sweeping the silt on roads that surround a lake while simultaneously protecting wildlife habitat and maintaining the delicate balance of water quality in a lake requires knowledgeable professionals with the right equipment. Using our regenerative air sweeper, we are those professionals. An Elgin Mechanical Broom Sweeper which effectively kicks the dirt into a conveyor for later disposal. Contact Twin City Sweeping today for a free estimate and to design a sweeping schedule that suits your needs. From construction sites to parking lots to public streets, you can count on us for a clean sweep every time.